Today we are talking to very special guest Greg Lainas, Senior Vice President of Management Resources at Robert Half and President of the Connecticut Society of CPAs. He is also a character in the novel Flashback by Gary Bravely, an Accidental Accountant, and a world-class networker. Whether you’re a student looking for your first job or a professional who hasn’t had to look for a job in over 20 years, Greg has a lot of really useful information. Greg also uses improvisational techniques and Yes, And to incredible effect. Through networking and saying Yes, And, Greg secured his first job as a CPA at Whittlesey and Hadley, found a way into ESPN in its infancy, received second interviews with IBM and Texas Instruments at their height, rose through the ranks of Robert Half to become Senior Vice President of Management Resources, and became President of the Connecticut Society of CPAs. Those are just some of the incredible stories that Greg shares in this interview – and it doesn’t even touch on how he ended up as a character in a novel. Greg understands that anything worth pursuing in life takes effort, but that doesn’t mean it’s complicated. Everything comes down to forming relationships. In a business environment there’s no such thing as a stranger. When you’re looking for a job, when you’re looking for a favor, what’s the worse thing that can happen? Someone says no, and that really isn’t very bad. I can’t thank Greg enough for taking time out of his schedule. It was a lot of fun, and it gave me a few ideas of new things I’d like to try in my own businesses. 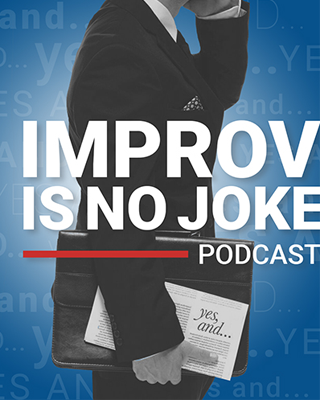 Greg manages to find both creative and simple solutions to common problems, and I hope he inspires you to go out there, talk to your network, join professional and community organizations, and start saying Yes, And today. Peter: Hey welcome back everybody. Today I’ve got a very special guest, Greg Lainas, out of Connecticut. Greg is an employee in the higher echelons of Robert Half and I want to first thank him for taking time out of his busy schedule, and once again I greatly appreciate you for being a guest on my podcast Greg. Greg: Peter thank you very much for asking me. It’s a pleasure. Peter: Great. I met Greg about a year and a half ago. I was in Connecticut teaching at the Connecticut Society of CPAs, of course, and Greg was a student in my class for the whole day. He stayed awake for the whole time. I think he was the only one, because as you’ll find out in this interview Greg is a, I guess we could say an accidental accountant. He’s not your stereotypical accountant and he’s got a wealth of knowledge as relates to the accounting profession, but first and foremost Greg can you give the audience a little bit about your background. Greg: Surely, thank you Peter. Well I was originally raised in Waterbury, Connecticut, which is a blue-collar town of a hundred thousand population, plus or minus. I am a graduate of Northeastern University in Boston where I majored in accounting, and coincidentally that’s where I met my wife. When I first graduated I worked for a bank in Rhode Island as an internal auditor and my goal was to become a CIA and I did not really want to go to the CPA route. I work for the bank for a year and realized that for me to accelerate I was going to have to get my CPA, so we came back to Connecticut and worked in a medium-sized CPA firm by the name of Whittlesey and Hadley. I was there for over four years. My wife and I had our first, we wanted to expand the family etc, so I wanted out of public and I worked at ESPN during their infancy, and while at ESPN I was responsible for the budgeting and forecasting primarily for expenses in the sales and marketing area, and that was really the inspiration to get to where I am today. So in 1987 I came to Robert Half international, and we are the world’s largest financial staffing specialist firm publicly traded on the New York Stock Exchange. The company’s been in existence since 1948. Well my first 10 years were with the account temps division, which people are quite familiar with, and then since 1998 I’ve been running the manager resources division here in Hartford, and what I do is place senior-level accounting, finance, and systems professionals on projects and interim engagements. So we’re not the temp side, we’re not the firm side, we’re the financial consulting side. I became the first person in the history of the company to get 20 million in gross margin, and then also I’ve been very involved with the Connecticut Society of CPAs. I’m one of the past presidents and over my career here I’ve also been a president of one of the local student management accounts chapters, so I try to really be involved with the accounting community as well. I often speak to students. I often speak to people who are, no matter where they are in in the spectrum of their career, primarily around accounting and finance, but most of the things that I talk to people are universal. So that’s me in the nutshell. Peter: There’s one thing that you left out of your background and I’ll just bring it up: I could say that you’re a character, but I can say that your character in a way that most people can’t relate to being a character. You are actually a character in the book Flashback by Gary Braver, am I correct? Peter: Yes you are, and if I remember, I have the book and I’m opening the book right now and I believe it started in chapter 19 on page 115. Peter: “And Greg Lainas and his wife Mary Anne sat in the backseat. It was later on a Sunday morning on a beautiful early September day with a big, blue sky filled with fluffy white puffs of clouds.” You know I’ve written a book, but I’ve never been a character in a book and I think that one ups me because not everybody can say that they’ve been a character in a novel. Greg: Well thank you Peter, and being an accountant you know when you go to the party we’re usually not the life of the party, so I look at this as one of my claims to fame. I didn’t mention it, but thank you, but it’s a long story and I don’t know whether your audience wants to hear it, but we can table that may come back to it later, but the one thing I do is I bring the book whenever I speak to an audience, because for the most part it revolves around careers, getting a job, networking, etc. and at the end of my session, as long as it needs, I usually pick on somebody in the audience to see if they’re paying attention and I’ll ask them to read the back jacket, because the back jacket, as in most books, is a description of the author, and they read it out loud and the author is actually a professor at Northeastern. So I’ll say, okay, stop right there. What school did I go to? And they said you went to Northeastern. I said okay very good, now open to page 115 and then I make them read it out loud, just the first paragraph, and I usually gets oohs and aahs, and I’ll stop the person right then and there and then I ask the audience, does anybody know why I brought the book in and why I had someone read it out loud? And the response typically is, well you wanted us to know you’re in a book, and I say, no that’s not the reason why but thank you. Anybody else? Nobody gets it, and then I’ll close by saying if I can network my way into a book you should be able to network your way into a job. Class dismissed. Peter: [claps] Wow. I’m clapping. That’s wonderful. If you can Network your way into a book you can Network your way into a job, and networking is one of my strong suits as well. I love networking, the power of networking I’m always talking about. So let’s talk about this, since you’ve network your way into a book and even though you’re on the the consulting side of Robert Half, what advice do you give those students who are coming out of college or even those who are currently working, whether they’re an industry forum, what type of advice do you give them? Greg: Well Peter it’s real simple. The first thing I’ll tell somebody is if I can do it you can do it, in that I try to make the party relaxed and and let them know that it’s not biology or chemistry 101 or something. It’s simple and anybody can do it. What may come to somebody as a natural item could be incredibly difficult for someone else, unless you’re exposed to it, but I look back at my jobs and they all came via networking. My job at Robert Half came from networking. My job at ESPN, although I had to go through the applying process, my neighbor and friend was a Cameraman and I begged him to give me a tour of the company. I went in on a Saturday night, I met a bunch of the personalities or the talent, and I had a bird’s-eye view of that company. I actually went into a live Sportscenter update, which I never did when I worked there, but when I applied for the job I made reference to that. I was the only person who had a tour of ESPN, so that helps my cause. The job I got is as an internal auditor in Rhode Island was a result of one of my college professors, not through the career services. My job in public, well I only had a few months to get a job because my wife and I were getting married and she was living in Boston. I’m living in Princeton. We wanted to settle in Connecticut, which is where we’re both from. So the famous saying, if you have all day to do it it will take you all day to do it, if you only have a little while to do it you get it done. So I made the decision, because I always say when everything else fails, let common sense prevail, and there’s no textbook to tell me what to do. And back in those days, which was the late seventies, we have no internet. Didn’t have fax. Nothing. All we had was a newspaper and a library. So we’ve all heard the 30 second elevator pitch. Greg: All that stuff. But in my day we didn’t call it that, we just had to learn to sell yourself. So what I did was I would come home to Connecticut, get the wants ads from the Hartford Courant, circle the entry level, and of course I get back to my apartment Sunday night and I had three choices with going after these ads, because back in those days they put the name, the phone number, whatever. I could either take a roll of dimes and go into a go phone booth at lunchtime. I could go into a private office and charge all the phone calls to my home phone number, my apartment, or I could rush home after five o’clock, get on the phone from my apartment and start calling these people. I’ll often ask people in my presentation, what do you think I did? None of them get it right, but yet I’m only 24, 25 and I figured out how to do this, because like I said when all else fails let common sense prevail. I actually used to stand in front of the mirror and practice my my presentation, my 30-second commercial, before I even pick up the phone, and I always say is that for every rejection, well okay it happens, but all you need is one acceptance and that will overcome all the rejection. So I called this one CPA up and went into my dissertation. He says I can’t help you but I know someone who can. He told me to call Bob Hadley of Whittlesey and Hadley. Now if you realize why I called after five o’clock at night, well no one’s going to be there except the owners, the ones who locked the doors, the ones who count the money, and the ones who make the money. Bob Hadley answered the phone and I go into my dissertation about being the Northeastern grad. Right away he asked me what do you think about Northeastern. I’m thinking this is cool, so it turned into an interview, turned into a job. A job that didn’t exist, all from making a phone call to a total stranger. Peter: You said something there that I think is one of the big challenges that those who don’t network well, that they’re the mothers in their head, because you said the word total stranger, and you remember what your mother told ya? Don’t talk to strangers, and when I talk to audiences about networking I said a stranger is somebody who’s sitting downtown Columbus, Ohio with a brown bag and they’re talking to the lamppost. That’s a stranger. But outside of that, in the business community and in professional environment, there’s no such thing as a stranger. Their potential opportunities, their colleagues, their peers. Just go say hello. Greg: Just go say hello. What’s the worst that happens? They’re not gonna rip your head off. Peter: No they’re not. As long as you’re doing what you’re doing right now, as long as you’re smiling and you just introduce yourself, nobody’s gonna go run away from you. Nobody’s ever run away from me. Maybe after they’ve got to know me they have, but not at that initial, hey how are you doing. Greg: You bet. Now Peter, specifically about the students, I try to get to a level that they can identify with. So I’ll talk to students and our first asked how many of you have ever gotten a job through your parents, your parents friends, your friends, or just your friend’s parents, whereby they know who you are and they trust you so they hire you and you don’t have to necessarily fill out an application, send the resume, they just know who you are. And then I’ll say how many people have actually hired somebody as a result of that? Because most of the time these students are in retail or fast food and it’s who you know, and I’ll then start to extrapolate and make it now professional rather than just a summer job. And then I’ll expand to how many have friends whose parents are in accounting or finance? Did you ever think to ask, can I talk to Mr or Mrs Jones for a little while? Or how about this, how many friend’s parents have their own company but also have a CPA firm? Maybe mr. or mrs. Jones could give you the intro to the firm. Another avenue is how many students have ever been to the Career Services Department. Companies come on campus. Companies come on campus today. Companies have been on campus for a few years. Companies continue to come on. One of my greatest success stories, even though you get the job at Northeastern, was that IBM and Texas Instruments both came on campus looking for sales and marketing people. These companies are big today, well they were really big back then, and I could use the yellow ticket to make sure I get an interview and I could bump somebody. Well I got interviews with both people and both HR reps. Mind you know I’m 23, 24, whatever it is. Both HR reps said to me, Well Greg why are you here, because I see you want to be an account and you know I’m looking for sales and marketing people. My answer was, “This is my only chance to have a one-on-one meeting with a representative of your company. Now I know you’re looking for sales and marketing people, but if you like me you may refer me to you accounting HR representative and he or she may want to talk to me, and guess what? I got second interviews with both companies. Peter: Wow. That’s a wonderful strategy I would have never ever thought of, but that is classic. Greg: See it’s common sense. It’s not organic chemistry. Now getting back to the students. Alright so you find out the companies that come on campus. Did they hire anybody from their campus visit? Hopefully career services has those records. Well if they do you pick up the phone and you call that grad of your school and you reiterate your approach is that I’m a junior or senior looking for an internship or a full-time job, can you help me? What I’ve observed over the years is that you may not enjoy your college lifestyle. Your allegiance to that College is not as strong when you’re in school, but when you’re out of school your allegiance to that school is even stronger, and the grads from the same school like to help out their own fellow constituents. So a school of well, since we’re in the Midwest, Ohio State. Ohio State grads are probably gonna hire an Ohio State grad. Who knows? What’s the worst thing happens nothing? What’s the best? You get a job. And then it continues. Then you may even call the representative of that company that came on campus, and then you go back three or four years. Next thing you know you have an abundant list, and then you may find out that the company continually comes to your particular campus. Do you think they’re going to want to talk to you if they’ve had a good success rate? Think about when you’re back in high school when you want to make it into a college. if the college has a good track record with that particular high school what are the chances of you making that college? Pretty good. Same thing. The next category you can go into are the alums of your college. There may be their own little LinkedIn page. That’s one avenue. Even your high school may have their own LinkedIn page, or you go into contacts at the particular company and you find out where they went to school. Next thing you know you have your own list of people to call. You’re going to have so many people you don’t know where to begin, and that’s how it starts. Did I ever mention anything about networking? Not once that I use that word in this, but I just try to equate it to things that people can identify with. Peter: You put it in a context – I think a lot of people hear the word networking and it has a negative connotation, but you found a way to put it in a sense to drive the importance of meeting people. Now look since we’re talking about the students, when you talk to them today how do you address the issue of social media and networking? Greg: Well first with social media, I make sure that they use proper grammar, proper english. I tell them to have two different emails. One for business and one for fun. I’ve even said it’s okay to have two different cell phones because the message on a college student cell phone might not be the one that a prospective employer wants to hear, and don’t mix them up. So dealing with the technical attributes of that, but the ability to apply instead of phone to the email or a LinkedIn or texting, whatever it is, are the same principles. Ask for help, don’t demand it. Ask politely, and always send a thank-you note. What I really tell people to do, Peter, is you keep a log of who you called, when you called, outcome, next step, and always send a thank you note, handwritten. If your handwriting is miserable then definitely email, but email it as if it was coming from the heart, not from you’re talking to your friend Mary or Joe. If I can just add one thing, how I became president of the Connecticut Society of CPAs. When I started the division manager resources we were we are not a household name. Robert Half and account temps are the household names, and this of course goes back to 1998. My boss at the time said, Greg, there’s the Connecticut Society of CPAs golf tournament. You play golf right? I said yes but not good. He said well you should play. Well I don’t want to spend the money. Greg, you got to get out and network, you know about networking, what’s the matter with you? Go play. Alright I’ll play. I was more fearful of my golf quality than my networking ability, so one of the other people that participated in the golf tourney is a very good friend of mine who I had known previously in the profession. I played three years in a row, and he calls me up one day and he’s on the golf committee. He’s actually a past president of the Connecticut Society of CPAs. He called me and said, Greg, how would you like to get on the golf committee? I’m thinking what are you kidding me, all of a sudden the antennae go up saying, “Warning, warning,” from the from the TV show, and he said Greg we have fun and we raise money and it’s not a lot of work. So his name is Charlie. I said, Charlie, you’ve done so much for me so if you ask me to to get on I’ll get on, but I don’t want to promise something I can’t deliver on because the worst thing that people do is over promise and then don’t deliver. I tell people all the time it’s not what you do it’s how well you do it. So I go to my first golf committee meeting and it’s, Greg nice to have you here. I know names but I don’t know any of these people, and then they know I worked at ESPN. Greg: So they asked me, “Greg you know it’s becoming real popular are to have celebrities go to these golf tournaments. Can you help us?” Great, okay. Well I’ve been out of ESPN for a very long time but I still have friends, so I said I will give it the best effort I can, but again I don’t want to promise something I can’t deliver. Well to make a long story short it’s not what you do it’s how well you do it. I got ESPN talent to be emcees. I also obtained corporate sponsors. I also got offers. I also got raffle prizes, and that was all part of my job anyway. I just asked. Whether I’m networking to get a job, networking to get business, networking to help people, call it whatever you want, I ask. The worse thing they can do is say no. Because I’ve doing it long enough, when I call they’re going to say alright what does Greg want now? Greg: So I did that, and it wasn’t exorbitantly hard it just took time and effort, but anything worth striving for takes an effort. It isn’t easy. If it were easy everyone would be doing it. Greg: Next think you know I got a call to be on the Board of Governors of the Connecticut Society of CPAs, and basically several years later I became president, and Peter if you looked at the profiles of all the previous presidents and you compare mine to them you’d say, what is this guy doing here? And I did not set up the quest to become president it just evolved and I seized the moment, and I was very proud to have been president. Peter: We share a very similar background because, as you all know, I was president – we call it chairman – of the house executive board, and same thing. If you look the profiles of the hundred past before me, same thing. I did at one point aspired to that role, but you don’t get to that level without a network of people to help you get there. Peter: And I just built a very strong network and networked my way into that role, and I say the same thing. If I can be President (Chairman) of the Ohio Society of CPAs Executive Board, you can too. You can do anything that you want to, you just gotta set your mind to it. Greg: You’re right. When I finished my term on the Board of Governors, at that time we we revamped the entire program, which I won’t bore your listeners with. When I was done I took the initiative and I called some respective parties and I basically inquired, I really enjoyed my time and I don’t know what the plans of the powers to be are, but I don’t know whether you tap them on the shoulder or you ask them or you see who raises their hand, so I’m gonna raise my hand and if I’m worthy of it from your perspective I would love to continue in the process, and I was it. So all out of playing in a golf tournament that I became president. Of course there were more steps and I had to work hard, etc., and make commitments and sacrifices, but if you ever talk to people that are in the higher echelon of their profession, which I don’t consider myself, and you say so and so has a great job or so and so is really wonderful. They always make it look easy but you never know how hard they worked to get to where they are, and I tell people all the time that anything worth striving for takes an effort. You have to put it in and if it was that easy everybody would be doing it, and I tell people all the time people want things in life, but they don’t do what it takes to get to what they want, and regarding the networking, if you ask for someone’s help, if they know that you’re genuine, they will give you the time, but it better be genuine. And at work if you ask someone to do the job for you, they may help you once or twice, but over time they’re not going to help you, but if you have worked hard and you ask for their help they will help you, and you’ll be shocked at how quickly you can prosper and grow, and next thing you know you are a mentor to somebody else. Greg: Whatever you say Peter I agree. Peter: [laughs] Maybe indirectly over the years in doing your networking and this persistence and looking down different paths and going after opportunities, you’ve been using those two words I use a lot – Yes, And – in your building of the network vs Yes, But, which stops networking. Would you agree with that? Greg: Absolutely. Peter, did you understand what gravitated me to come up to talk to you that day? I mean as soon as I heard you talking I said I gotta talk to this gentleman at the break. We all tend to want to develop friendships with people who we think of have similar personalities and certain traits and interests, and I was gravitated towards you right away. In fact I went home and told my wife, “you’re not gonna believe I met this wonderful gentlemen today,” and look how it has spurred our friendship. Just by me coming up and talking to him at the break. Peter: Right. exactly. You could have not said a word even though our backgrounds are similar in lot of ways, as well as you are Greek. I’m Greek. I know I probably made a comment about that, but you could maybe just set them and did nothing and then, you know, nothing would have happened. We wouldn’t have met. I wouldn’t have known about this book. You wouldn’t be on the podcast, and this has been going on for about a year and a half, almost almost two years now, right? Peter: And I keep trying to get back up to Connecticut, because when I do get back up there I know I’m gonna look you up. That’s the fun of networking! 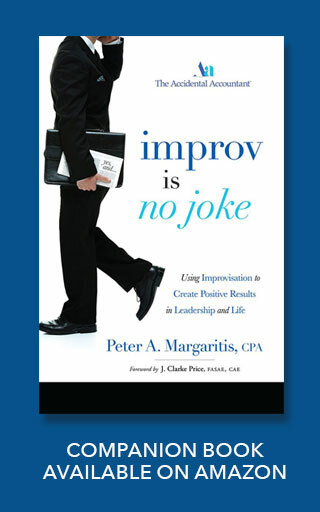 Peter: The stories that you can tell the people that you meet, and when I think about it I think about this one time I was doing a networking program and for a conference, for a group of CPAs, and I made the comment, did anyone bring their business cards today? And out of 40 people maybe 10. I asked the 10, what do you use your business card for? This one woman goes, I use my business card to put in the fishbowls at the vendors to get, you know, the gifts, and I just politely and respectfully said, is that the best return on investment of that business card? Greg: Well if they get free lunches then it might. Who knows, right? Peter: [laughs] That’s true. As we’re having this conversation, someone said I don’t bring my business card to these things because it’s just a bunch of CPAs, why do I need to know more CPAs? And I went if you look at one CPA how many people don’t you see? Probably 3-400 people within the network. Everybody knows somebody. This is one of the best places in our profession to network. Peter: And I think people are starting to realize that. Greg: And it may be one of way to get a job, too. Peter: Exactly, and I do want to ask you this question. I’ve had a number of people over the years come up to me and they’ve been in their jobs for 15, 20, 25 years. The company has been bought their role has been diminished and they’re looking for a job, and I hear this all the time. I haven’t networked in 25 years, where do I start? Peter: What advice would you give this person, or these people? Greg: Well I would use the same approach I use with the students, only I would elevate it at the professional level and I would start with are you involved with your college alum, and of course most people aren’t. They may not even have a LinkedIn page. I would really try to assess, just like a doctor assesses a patient, I try to assess where their pain is. What they know, what they don’t know, and then I would give them a step-by-step process to help them build on it, but I would focus on, tell me, are you still in touch with any or former employees that may have left the company? People that worked for you or people you worked for? Are you involved in professional organizations? How involved are you with your own place of worship? I would just keep looking for commonality. How about your own family members? I often think about the person who all of a sudden becomes an insurance salesperson, and what’s the first thing that they do? Who do you get a phone call from? Greg: I just I got home late last night and there’s one of our neighbors kids calling me. I just walked in and the phone is ringing so I answered it, better to not answer the phone, and he says Mr. Lainas? I said yes – I won’t say this person’s name – can I talk to you? Sure. What is it? He goes I’m now selling etc. etc. etc., and if I talk to four people I’m going to get some bonus. I said do me a favor, I just got in the door, call Mrs. Lainas tomorrow. I didn’t say like get lost. Greg: But those are 6,000 people who know another 6,000 people. It’s not hard, it just takes time. Peter: I always say, Networking: Take the net- and the -ing out of it and it requires work. Greg: Very good, very good sir. Peter: It requires work, and as you have eloquently articulated here it takes a lot of work to develop a network but that work does pay off in the long run. Greg: You bet, and if you don’t do it will anything become different? No. Here’s an analogy I came up with: Alright, we’re accounts. We tend not to be creative. Of course a creative accountant might end up in jail, but I’m not going there. The thing is, go back to high school days. You need a date for the prom. Now the accountant will say, see if I don’t ask her she can’t say no. Greg: But the person who needs a job is going to say, well I’m going ask her because she might say yes, and once the worse that happens? She says no and I go to the next one. Greg: But imagine if she does say yes how you feel for all those other people who don’t want to ask her. You do ask her she may be thrilled, so the what’s the worst thing happened? Peter: What’s the worse thing that can happen. And whether you are networking, and you said something earlier on about we have to sell ourselves, and anything we do, no matter whether an accountant, we sell ourselves every single day, and realize that we are salespeople. We might not be selling Clorox or something like that, or some product, but that product that we sell is ourselves. Greg: An idea, a theory, a position, a recommendation. Numerous things. Peter: Exactly, and someone recently told me that, as relates to selling yourself and in a sense of indirectly networking, there’s a position, a person left a position and the company would normally post for the for the open position, but they had the ideal person and they put that person in that role and this person said everybody the office went bat crap crazy because we didn’t post, and she said to this group every day you walk into this building you are interviewing and you know what your interviewing skills over the last six months have not been up to par, or even close to par, as this person’s interviewing skills, and that’s why we didn’t feel like we needed to interview. Same thing with networking. It’s, you know, you’re networking, you’re interviewing, every time you’re in front of anybody. Greg: You know, Peter, along that same line. Talk about the networking, it’s a great way for companies to hire people and it’s great when somebody get a job. It’s a two-way street. I actually got a job offer once from a CPA firm via a CP seminar. Just happenstance the partner came over and started talking to me, and I’ll never forget it was the tax aspects of closely held. What was I doing in the seminar, I wasn’t even CP. One night I get a phone call, and this was early in my career, and he said, Greg, you impressed me. I wanted to talk to you. I didn’t take the job, because in my day you didn’t leave onc CPA firm to go to another, but the fact is that happened. But where I was going to go is you see an ad and it says contact HR, mail your resume. What do most people do? Peter: They just send a resume in. Greg: And where does it go? It goes into the abyss. Greg: What’s the smart person do? The one that has a little initiative or creativity, I didn’t say creative accounting. Peter: First I make a phone call. Peter: To whoever the HR person is that’s in the ad. Greg: All right I’m gonna give it something else. That’s one step. Peter: Okay, what’s the other step? Greg: You know the company, as opposed to a blind ad. Greg: You know the company and you have a LinkedIn page. Take a couple hours, take a day, I don’t care. Try to find out who the job reports to, because who gets hired by a company, and and this is no disrespect towards HR people please, but if you want to get it done faster you go to the source. So let’s say you find out it reports to Mary Jones in accounting or finance. Now the next thing is you might want to network to see if somebody knows Mary Jones that know someone that you know, etc. Now that may be a stretch to get the buy-in from a party to hand deliver your resume to Mary Jones, but if you have a connection to someone who likes you and trusts you, he or she will take that resume to Mary Jones. Or, to your point, what’s the worst thing that happens if you pick up the phone and you call Mary Jones? Now you can figure out her domain, you can send an email, but email and phone are both the vehicles to go to. Now if she doesn’t access your email, she’s not going to know you emailed her. If she doesn’t access her phone, she’s not gonna know that you called her. And you may get the admin, so you plead your case, and the admin say get me the resume I’ll get it to her. That’s fine, and then of course you can do a trick that I did, of course, is call maybe after five or six o’clock at night or call seven o’clock in the morning when Mary’s at her desk. Greg: I wouldn’t do it the same day. I might wait a few days, and meanwhile you can also send your resume in through the process that the company requires. Now let’s say there are 50 people applying for that job, a hundred, only one person reaches out to Mary Jones. What do you think? Who is more likely to get the interview? 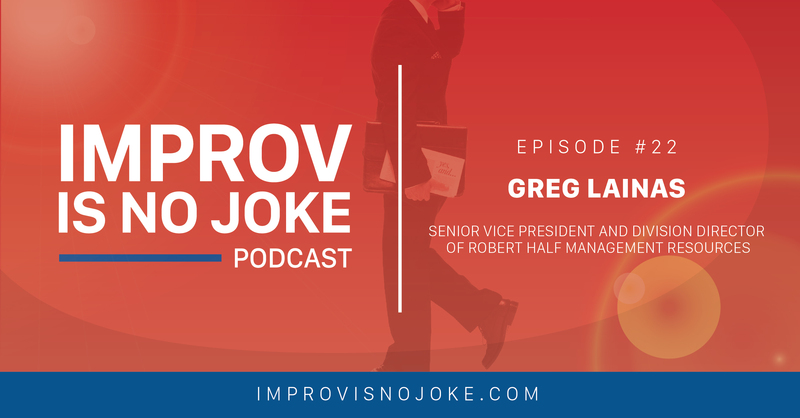 Greg: It’s not because you’re technically better, it’s because you took more initiative, and the purpose of a resume is to get an interview not get the job. You get the job. Peter: Just a thread that’s in everything that you’ve said is doing your homework in essence of learning who Mary is. Greg: She could have been an alumni of your college, you bet. Peter: –than going the traditional route. Greg: Mary may reject you, say to go through HR, I can’t talk to you right now. Okay, so what? At least you tried. Peter: But she’s gonna remember you when that resume comes across her desk. Oh this is that Greg guy. Oh yeah, I wonder how he found me. Greg: Now we all come across people who have incredibly strong intellect, very smart, technically sound, and then we all meet people who have incredible personality that we all gravitate towards. The worst thing is someone smart who can’t talk and the worst thing is all talk and then all form and no substance. You follow me? Greg: Those are my work papers by the way. I had no substance or form. Greg: But the thing is we all go after and and gravitate towards the hungrier person. Now you can’t teach hunger, you can’t teach desire. Either you have it or you don’t. The thing is it can be maxed out. I mean you could maximize whatever you have, but I can tell you that you talk to all leaders and they’re always going to say I wish my people showed more initiative. I wish they showed more desire, because most likely the person that you’re reporting to had those traits. So if you can exhibit those traits with sound technical experience, not just form, then the chances are you’re going to emerge. It’s real simple. Peter: You know what I say a lot: it’s so simple, but it’s hard. Peter: it’s because of that, because the effort and persistence, the amount of work to put into it, but to your point it is so simple. Greg, I can’t, one, begin to thank you enough for your wisdom. I mean everybody, I don’t care if you’re looking for a job, after they’ve listened to this interview on networking they’re gonna be so much smarter, wiser and more creative in their current job search, or beginning to build that wonderful network around them so when that time does come that they need that network they can call it. And you know quite frankly you’ve given me a couple of great ideas. That even my businesses I’m trying to get in front of more people that I’m going to use that strategy, and just know this my friend, there’s another interview with me and you and in the future because we could take this home networking path angle and go even deeper, and I know there’s other paths that we can take. Greg: I can even tell you how I got into the book. That’s a story into itself. I won’t bore you now. Peter: We will save that for the next one, and maybe more detail on how you networked yourself into a character into a book. Greg I can’t thank you enough for taking time out of your schedule. I greatly appreciate it. This has been so much fun. I hope you enjoyed it and thank you again. Greg: Peter it was my pleasure and I’m thrilled that you even asked me to participate. Peter: Thank you Greg, and we will talk soon.